Let’s start with the positive. Both programmes went some way to challenge the common misconception that an individual’s weight is purely a product of a person’s lifestyle (e.g. dietary choices) and self-control. For instance, in The Truth About Obesity the role of genes was highlighted by Cambridge Professor Sadaf Farooqi, who stated that an individual’s body weight or propensity to gain weight is like ‘a lottery’. Indeed, twin studies indicate that up to 77 per cent of the variation in BMI is determined by genetic factors. Both programmes also observed the correlation between changing food landscapes (e.g. increase in high street takeaway outlets and delivery services) as well as the increasing availability of highly palatable, easily accessible, readily affordable, energy-dense foods and the rising weight of the population, implicating the role of social and environmental factors on size and weight. 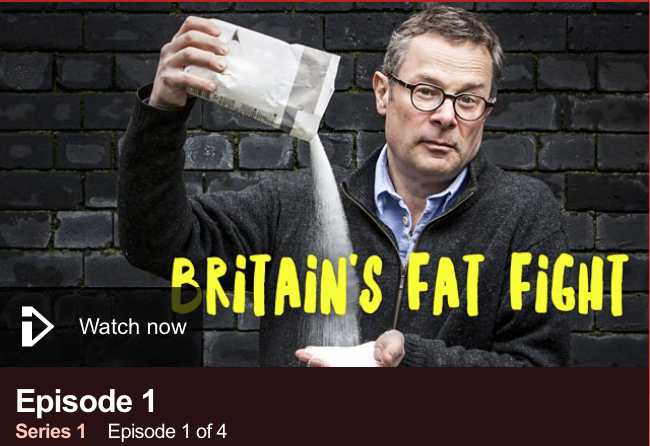 Hugh Fearnley-Whittingstall took this a step further in Britain’s Fat Fight by calling out big food companies, notably Nestle and Kellogg’s, for the high sugar content in children’s cereal and unclear nutritional information labelling, thereby shifting responsibility from the individual to big business. These positive actions are supported by research. Evidence suggests that educating people about the multiple determinants of weight (e.g. biological, behavioural, social and environmental factors) and challenging the belief that individuals can fully control their weight can help reduce weight stigma (i.e. negative attitudes, prejudice and discrimination) – a harmful yet pervasive phenomenon experienced by individuals living in larger bodies. Significantly, 50 years of research has documented a wide array of detrimental consequences of weight stigma, particularly, though not exclusively, for people categorised as ‘overweight’ or ‘obese’. Studies find that weight stigma and internalised weight stigma can negatively affect larger people’s psychological and physical health, employment opportunities and income, education, and academic performance. Yet, elements of weight stigma are evident in both programmes. The name ‘Britain’s Fat Fight’ is a case in point, which, alongside phrases like ‘war on obesity’ simultaneously demonising fat and positions larger bodies as the enemy, and thus is inherently weight stigmatising. It is worth mentioning that simply labelling people as ‘obese’ or ‘overweight’ can be harmful to people living in larger bodies, highlighting the weight behind our language. Both programmes also included several zoomed in camera shots of (headless) people’s tummies, behinds, and hips. This is dehumanising, and therefore stigmatising, especially considering how frequently larger bodies are negatively stereotyped in the media. Moreover, the omission of a discussion on the adverse impact of weight stigma on health is troubling as this implies that weight or rather weight loss is the only important factor when it comes to the health of a person in a larger body. Notably, the impact of weight stigma on health are extensive and include disordered eating behaviours, resistance to physical activity, physiological stress, anxiety, depression, and substance abuse. By focusing on weight loss as the ultimate goal, both programmes (unintentionally) serve to reinforce weight stigma and diet culture. This is problematic as body dissatisfaction and dieting are two robust predictors of disordered eating and weight gain among people across the weight spectrum. Despite the health of the weight-loss industry (globally estimated to reach $260 billion by 2020) we know that for most people, weight loss diets do not work long-term as they are so frequently unsustainable. Consequently, encouraging weight loss per se do not feel the most helpful or effective option. Health At Every Size® is an alternate, inclusive approach that strongly rejects weight stigma and diet culture and aims to support people of all sizes in addressing health directly through encouraging healthy behaviours. By promoting acceptance of one’s body (regardless of size and conformity to societal ideals), encouraging intuitive eating (where no food is off limits) and joyful movement (where the goal is not to burn off calories / get thinner), Health At Every Size advocates hold that people can lead happier, healthier lives. This approached is supported by appearance psychology research. For example, studies suggest that people who report greater body appreciation (nb. a common proxy for positive body image) are more likely to take care of their bodies (e.g., protect their skin from UV exposure and consume more fruit and vegetables) and are less likely to engage in unhealthy dieting behaviours (e.g., take diet pills) or report depressive symptoms. Therefore, on balance, while it is a positive step to emphasise biological, social, and environmental factors linked to weight in the context of population weight gain, the conversation may benefit from going even further and tackling weight stigma, diet culture, and other social and cultural factors that lead us to having difficult relationships with our bodies and with food. What if we stopped talking about weight and size altogether and instead focused on fostering feelings of trust, appreciation, acceptance and respect towards our bodies and our appetites? Could this stand to benefit public health? Health At Every Size activists have been advocating for this for decades, and there’s a growing body of scientific evidence to suggest this may be a more fruitful approach, maybe it’s time we tried. - Nadia Craddock is a PhD candidate at the Centre for Appearance Research, University of the West of England. Watch Britain's Fat Fight and The Truth About Obesity. Wardle, J., Carnell, S., Haworth, C. M., & Plomin, R. (2008). Evidence for a strong genetic influence on childhood adiposity despite the force of the obesogenic environment. The American Journal of Clinical Nutrition, 87(2), 398-404. Diedrichs, P. C., & Barlow, F. K. (2011). How to lose weight bias fast! Evaluating a brief anti‐weight bias intervention. British Journal of Health Psychology, 16(4), 846-861. Diedrichs, P. C., & Puhl, R. (2016). Weight bias: Prejudice and discrimination toward overweight and obese people. Heuer, C. A., McClure, K. J., & Puhl, R. M. (2011). Obesity stigma in online news: a visual content analysis. Journal of health communication, 16(9), 976-987. Major, B., Eliezer, D., & Rieck, H. (2012). The psychological weight of weight stigma. Social Psychological and Personality Science, 3(6), 651-658; Haines, J., Neumark-Sztainer, D., Eisenberg, M. E., & Hannan, P. J. (2006). Weight teasing and disordered eating behaviors in adolescents: longitudinal findings from Project EAT (Eating Among Teens). Pediatrics, 117(2), e209-e215. https://haescommunity.com/ ; Bacon, L. (2010). Health at every size: The surprising truth about your weight. BenBella Books. Gillen, M. M. (2015). Associations between positive body image and indicators of men's and women's mental and physical health. Body Image, 13, 67-74.